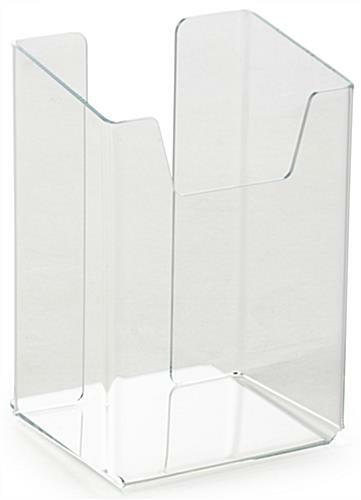 Clear Pocket for 100% View of Stored Information. 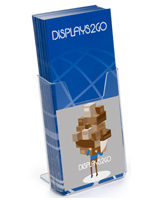 3" Deep to Hold Many Brochures. 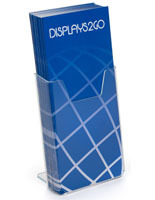 Back Lip Keeps Displays Safely Upright While in Use. 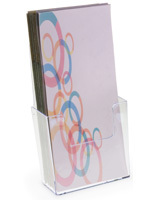 The acrylic desktop pamphlet holder is able to showcase brochures that are 4” wide, like trifold leaflets and restaurant menus. 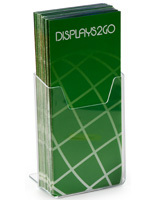 The literature display has a 3” deep pocket for holding many copies of menus for distribution to customers. 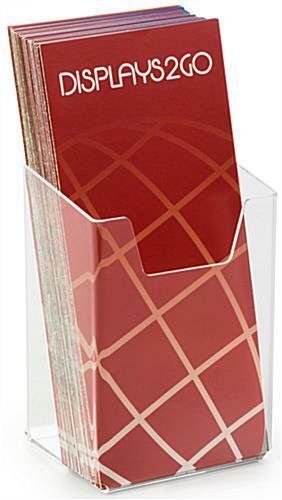 The pamphlet holder for countertop use is ideal for many settings, like hospitals, business lobbies, and dining facilities. 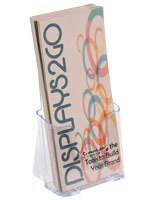 The literature display has a clear construction to allow for complete views of information that is being stored inside. 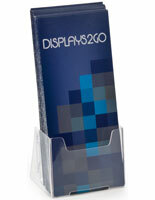 The holder has a notched front to allow for easy grabbing of information. 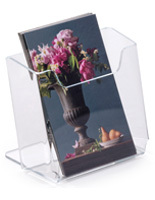 The countertop unit has a small lip in back to help balance the clear pocket and keep it upright. 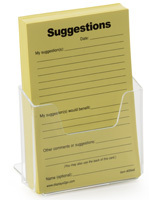 4.3" x 6.0" x 3.0"